For shrinking sleeves, shaping and welding plastics, soldering and de-soldering ofelectroniccomponents. For removing layers of paint and varnish without aggressive chemicals (pickling agents). For drying and accelerating curing processes (adhesives, paints). Keeping the diverse requirements of customers in mind, we are instrumental in providing Stanley Heat Gun. We are offering best quality of Heat Gun. Master appliances corp. USA. Heat Gun, Model VT-752C max temp-400 degree C.
We are an eminent name in the market involved in catering an enormous range of Heat Gun to our reputed clients. This Heat Gun is extensively used for plastic tube bending and shrink wrapping applications. Furthermore, our range of products can be customize as per the client’s requirement. 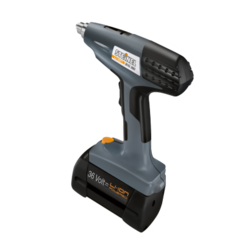 We are counted as one of the famous organizations for offering Stanley Stxh2000 1800w Variable Speed Heat Gun. We are a renowned name, which is engaged in offering Dewalt Heat Gun.